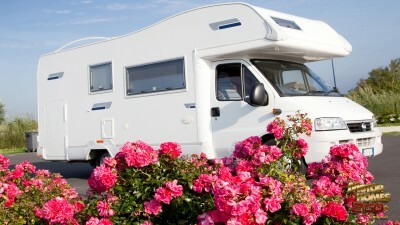 What Can You Tow Behind a Motorhome? 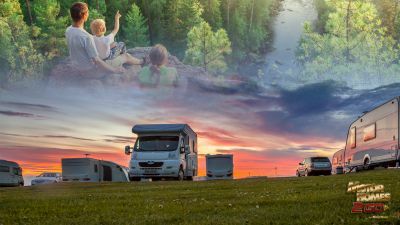 When traveling with a motorhome, many people want to be able to tow a vehicle behind it so they can get around easily once they're set up at their campsite. Who wants to have to unhook all those connections just to be able to go somewhere? The question of What can I tow behind my motorhome comes up a lot. This mostly pertains to the weight of what you want to be able to pull. Get ready to put your algebra skills to the test here as we walk you through how to figure out what you can tow! 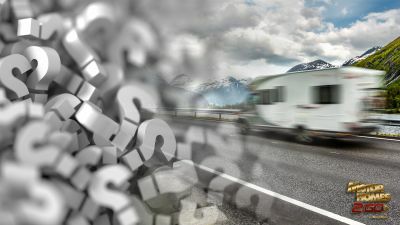 The stickers inside the door jams of your vehicle and motorhome contain information you'll need when calculating what type of vehicle you can pull behind your motorhome. 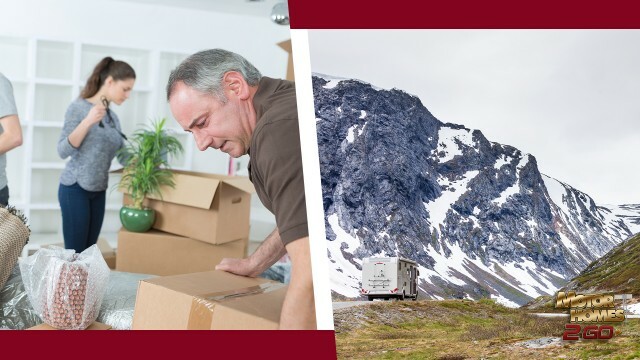 If you can't find the information on your vehicle or motorhome, go online to search for them. The Towed Vehicle First let's determine how heavy your tow vehicle is. On the door jam sticker, find the curb weight. This is the weight of the vehicle when it's full of fluids and gas and ready to go. This does not account, however, for the weight of anything else you add. So if you are going to bring along a toolbox or luggage, you need to weigh those and add them to the curb weight. The easiest and most accurate way to do this is to take the vehicle to a scale. The Motorhome There are three areas of the motorhome we need to look at. 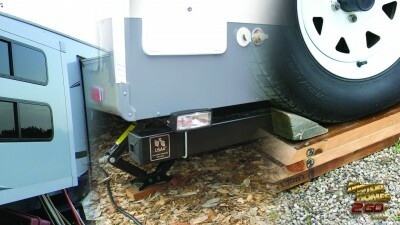 The motorhome itself, the chassis, and the hitch. These will all have different ratings and it's important to evaluate them all in order to be sure that you're not going over in one area or another. First check out your hitch. This is going to let you know how much the hitch itself can handle. 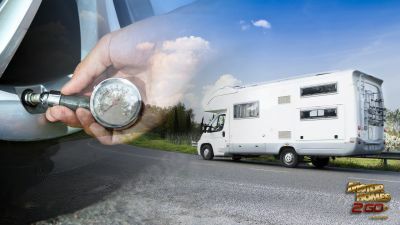 If the curb weight of your vehicle to be towed is over the "Max Gross Trailer Weight," then it doesn't matter if your motorhome can handle it, because we already know that the hitch can't. You can find this information on a sticker on the hitch itself. Now let's look at the chassis of the motorhome. You want to look for three different numbers based on what the engine can do. These weights include Max Towing Capacity, Gross Vehicle Weight Rating (GVWR), and Max Available Gross Combined Weight Rating (GCWR). The GVWR is the most that it can handle inside it on its own. The GCWR is going to include everything, everyone, and the towed vehicle. 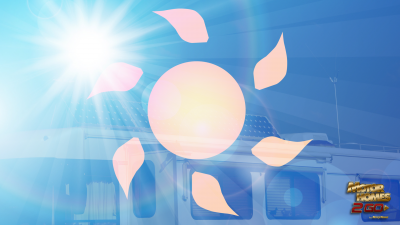 Now go inside the motorhome and look for the Occupant and Cargo Carrying Capacity (OCCC) information on the sticker. This is going to be a number followed by a statement such as "The combined weight of occupants and cargo should never exceed ..." Keep all your numbers together and handy while we dust off our high school math skills. Hope you weren't sleeping in algebra! Now that you have all your numbers written down and ready to go we need to do the math to find out how much your motorhome can pull. The first thing we need to find out is how much the motorhome weighs when it's empty. To get this number we're going to subtract the OCCC from the GVWR of the motorhome. Next you want to add everything that will be in and towed by the motorhome. Empty RV Weight + Driver's Weight + Passengers' Weights + Full Water Tank + Any Other Stuff + Curb Weight = The Load on the Motorhome. This total needs to be below your GCWR. Example Here is a real life example to help you work through this: We're looking to see if the Gulf Stream Conquest can tow our Honda CR-V. We've written down all the numbers from all areas. CR-V Curb Weight: 3,479 lbs. Gulf Stream Conquest: Hitch Max Gross Trailer Weight: 5,000 lbs. Chassis Towing Capacity = 7,376 lbs. Chassis GVWR = 11,500 lbs. Chassis GCWR = 18,500 lbs. 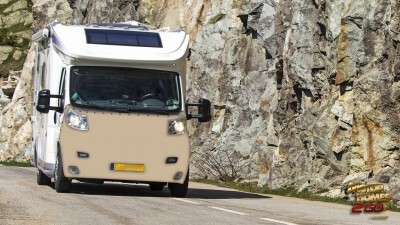 Motorhome GVWR = 12,500 lbs. Motorhome OCCC = 1,283 lbs. Occupants + Water + Stuff = 410 lbs. The first thing we see is that the chassis towing capacity is 7,377 and the max on the hitch is only 5,000. You always need to use the lower number of the two. Just because one area can pull a lot doesn't mean the whole thing can. So we need to keep this 5,000 in mind when figuring out the weight of what we're towing. If the CR-V had been over 5,000, we wouldn't have been able to pull it because it would have bent and possibly broken our hitch. Now for our math! 11,500 Chassis GVWR – 1,283 OCCC of Motorhome = 10,217 lbs. (Empty Motorhome Weight) 10,217 (Empty Motorhome) + 410 (People & Stuff) + 3,479 (Curb Weight) = 14,106 lbs. 14,106 lbs. < 18,500 lb. GCWR With this example we're under the GCWR, so we can tow our Honda. 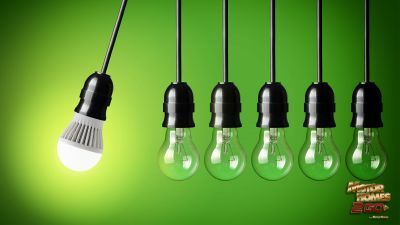 Keep in mind when doing these calculations that families and kids grow. Take into account that your 50 lb. child will eventually be a heavier teenager. 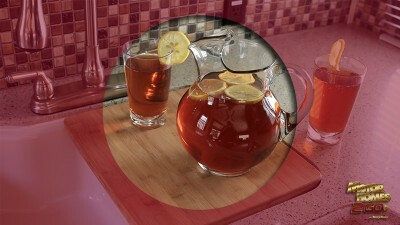 Leave enough wiggle room to accommodate for these changes. You'll appreciate the convenience of having at tow vehicle with you when camping in a motorhome. Just be sure to choose the right motorhome or tow vehicle so that everyone is safe on the road!